Added permission for Topics List. Added code fix from DavidIQ for templates. Unzip the downloaded release, and change the name of the folder to `topicindex`. 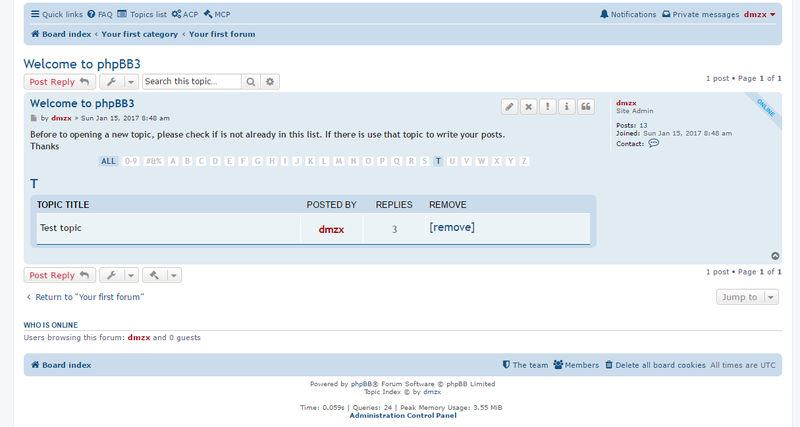 Look for `Topic Index` under the Disabled Extensions list, and click its `Enable` link.